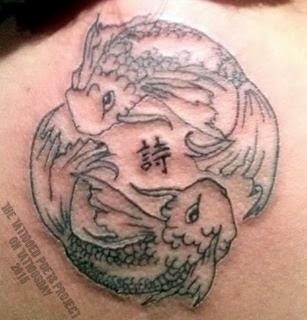 "These are two nishikigoi depicting my Piscean zodiac. For me the design symbolizes the yin and yang, decision and indecision, joy and depression and other extreme characteristics of my personality. 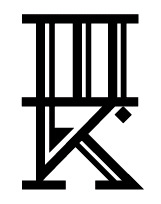 Come what may, I want to ensure that my poetry (Japanese Kanji ‘shi’) is safe and thus placed it at the centre of my guardian zodiac. Culturally, this tattoo is a tribute to Japan being such a closed culture of myth, science, fantasy and resilience. It is the Mushin. My father is an artist. So, besides poetry, I paint as well and therefore it was easy for me to visually depict/design the tattoo the way my mind worded it. I thank Kishore Sanduptla of Get Inked Tattoo Studio in Hyderabad [India] who inked it desirably." Linda Ashok's poems appeared on the blog of Murphy Institute- CUNY, Poetry Kanto, Hark Magazine, The Lake, Visual Verse, Haiku News, The Linnet's Wings, Thumbprint Magazine, Bones Journal, Shot Glass Journal, etc. Her works are forthcoming in AXOLOTL and Friends Journal. Linda is the Founder & Managing Trustee of RædLeaf Foundation for Poetry & Allied Arts. 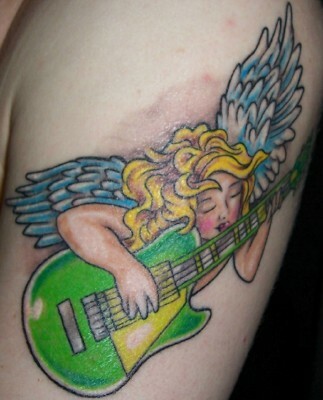 Thanks to Linda for her contribution to the Tattooed Poets Project on Tattoosday! Lovely looking Japanese-esque fish. I have a similar fish drawing but in negatives and hope to tattoo it like this on someone sometime.